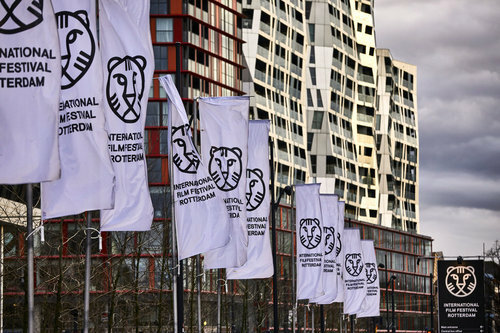 International Film Festival Rotterdam (IFFR), the largest Dutch cultural event, has developed a profile as the hub for the emerging and daring audiovisual works. A convergence of every audiovisual art, from short films through VR to video installations, IFFR has been diligently mapping new trends in its sprawling programming structure, plumbing the hottest topics in themed sections, while offering a larger overview of rising talents, as well as new forms in world cinema and art. Along with the swelled lineup of films on display, the festival is designed to support new talents and encapsulate emerging tendencies in film development, production and distribution for professionals. ScreenAnarchy met with the festival's director Bero Beyer to talk about the ever-shifting landscape of independent cinema and the festival's place and role in it. New models of developing and funding cinema along new ways of approaching cinema, niches, VoD image itself and the current craving for long-form cinema were also subjects of the talk. ScreenAnarchy: What can we expect from the 48th edition of IFFR? Bero Beyer: We are very happy to open the festival with a film that has been a part of CineMart and BoostNL schemes, which gives us huge confidence about maintaining a good infrastructure for developing a film. Although, as a film festival, we are trying to take more responsibility with an independent film to connect and to come up with other sources or finding access to potential financial partners, and it seems to work out with a film by Sacha Polak, Dirty God. We try to be even more precise [about] how we connect filmmakers and what they need at that very moment of project development. But this year, there is also a nice little landmark as the Hubert Bals Fund has turned 30, [representing] thirty years of trying to enrich film landscape by giving money to filmmakers from territories where there is a little or no infrastructure for film development or a political arena for freedom of expression for whatever the filmmaker likes to express being suppressed. That's where we want to help out. The nice thing is that where we focused in the last years was to find enough security for the project development itself, the very first money we put into productions. The script development is a very nice lineup of collaboration with Creative Europe MEDIA funding and the Netherlands Film Fund funding for production. And this year, we are doing something new, which is [bringing] post-production money to the table as well, so we are trying to bridge the entire process from development through production to post-production, which we also do together with the Netherlands Film Fund and the association of Dutch post-production houses: the Netherlands Post Production Association. We have two awards of 50 000 €, which is pretty good for post-production for HBF supported films [that] are new and gives a festive moment of trying to keep it fresh and spacious. At the same time, there is an element of positivity that there is actually so much possible. The question we are asking at the Reality Check conference, which the second year we are doing it, is 'Let's figure out where we actually are; how good or bad is the situation?' Whilst we focused on the distribution last year and challenges of distribution, we are now very much focusing on development. We are trying to formulate the fact that whatever made independent film appealing, so rich and so daring in its output, is perhaps slightly under threat or perhaps at least under-used. What I mean is that the film development is often compartmentalized. If you are developing something as an artwork, you will remain in a niche, if it is a short film, you stay there, if it is a feature film, this is your track, or television series, or animation or hybrid whatever, you will run into problems being stuck into your little box. Whereas the development phase should be as open, as fluid and as inspiring as can be, and we need to re-figure out how to make it work. It means in three little steps that we want to try and figure out whether we are smart enough in opening up the arena for different voices, different demographics, who gets the chance to tell a story and how will they do so, the second element will be which test cases or which projects there actually bridge one box to the other and as a combination, let's say, between interactive work, VR work, art installation, and feature. Fnally, we are trying to figure out how that actually goes back to the infrastructure that we are part of -- funding bodies, co-productions and methods -- so that we can be even more open about celebrating daring pictures, daring images, and daring stories. That will be Reality Check. Since you became the festival director, you set out to restructure, tweak and fine-tune the festival. After four years and the changes and shifts the festive underwent, is the transformation process finished? When you put it that way, it sounds that if I am finished, I should be out of here. Certainly not, but IFFR is a massive structure. You said last year that you are testing what will work and what won't, and then you will adapt it or implement it properly. It is a very organic process. It is an organic process. And hopefully, it will never be finished. Every year, we figure out another way to adapt and to remain flexible, to change and to be responsive to changes that are happening in the landscape of cinema, such as how we deal with our VoD platform IFFR Unleashed, how we make collaborations with other partners that are in the same vein, and for the festival itself. What I am very content with is the way we have been able to cement the territorial stamp towards how we present our films both in the competitions [and] in the sections. If you look at the last couple years, you can notice that there was always like a political agenda, to reflect upon whether it is a refugee crisis, the polarized society when Trump came to power, or the way gender has become a hugely important element to discuss. This year, we are very much pulling back. In this post-truth time, what we need to focus on is the emotional impact that the image actually brings. We have been so stuck up in the way that we reflect upon images, we either build a little barrier so it does not touch us or we are actually being manipulated by images that we see without the care for the facts altogether. The fact that the image is so important and every context is different becomes the theme of the festival this year -- "Feel IFFR" -- very much reflects that every time, we see a film or every time an image is re-used or re-presented or presented in another way, it gets a new meaning. To be alerted of that new meaning via our emotion is the key factor. In Perspectives, our section for thematic programmes, we delved into memes, for instance; memes are like the organic D.N.A. of images throughout the internet. They spread and every time they are re-iterated, re-posted or re-branded, they become something else. But this is also true for how we view cinema. We have a programme called Laboratory of Unseen Beauty in Perspectives to reflect that if you do a re-cut of a film, or re-edit or you toned it differently, or make it 3D as Peter Jackson did with WWI footage, you create a new work of art that in itself gets a new meaning to the emotional experience that you have once you viewed it. And that is a quite a big deal, I think. We are looking at the way of how we view a film altogether as quite a lot of elements, for instance, espionage, in the thematic programme The Spying Thing. We are in a world where espionage like a Cold War 2.0 is almost creeping back into the arena, we are much more intense in how espionage has become an element in our daily lives. There is now espionage all the time or dragnets. This has an impact on how we view and how we experience images so we thought it would be a good idea to have several older and a couple of new spy films to figure out of how we are actually looking at stuff. And in the same way, we are contemplating the power of silence in the programme Say No More. The silence before something is said, or when nothing is said or when the image has such an impact that you fall silent as an audience. Those elements give us a clue towards the understanding of the true emotional potential of cinema, and once we do that, then we can reflect what that actually means politically. For instance, we are doing something called Soul in the Eye which is a themed programme on the filmmaking community in Brazil, more precisely the Afro-Brazilian filmmaking community. In fact, the largest diaspora of Africans is in Brazil and there is a quite a fierce and vivid and passionate scene of filmmakers that reflect on their African culture and thus frame questions of what it means to be black in Brazil at this very moment in poignant, sometimes festive or confronting way. This important and strong imagery becomes political the moment when we realize what just happened in Brazil, who's taking the reins and what does it mean in terms of freedom of cultural expression. There is also something that I really enjoyed in a couple of last years we were able to almost force open the doors towards the visual art world and say the image of cinema, the narrative of cinema goes beyond what's on the big screen, small screen and museums, but interactive works are much more present than we think. This is the second year we are doing Frameworks programme where established visual artists from the art world -- like we have Weerasethakul Apichatpong -- present new talent. This year that is Philippe Parreno and Jean-Luc Godard, both of whom will have an installation piece at the festival. So Accueil livre d'image is actually becoming an installation where you can feel what it is like to be in Godard's home with his Persian rug and everything to see how he actually envisioned and made the- essayistic cinematic work in an almost like a theatrical form. Renowned French artist Philippe Parreno has been exhibiting all over the world in the big museums. We asked, "What are you going to do?" and he said, "I am going to take cinemas". So we gave him the keys to a screening room in Pathé, which he will transform with his work into... I do not really know what. It will be another kind of experience when the white cube becomes the black cube rather than the other way around. I really like those fringes where the image turns out to be much more present. The themed programme revolving around memes is a combination of features, shorts, and installation works or videoart. The curatorial approach corresponds to the fluidness you just mentioned. I wonder, is this one of the directions the film festival is heading, a kind of programming mercuriality, regardless of format, genre, style? Exactly. When we are discussing it, which is a part of the reason putting that topic on the table, saying as a festival, we show whatever we think is relevant, whether it is a traditional feature film, the nearly 14-hours of La Flor which is a fantastic piece, whether it is a television series or shorts, interactive works, performance art. Whatever triggers us and we can say this is what independent cinema includes, we will show it. Yet when it comes to development, we are still in our little boxes. To be opened towards other concepts and make use of that is the power of independent cinema. And I believe we can make a better job of making that work. So far, I have not seen any mention about IFFR Live, the festival's interactive initiative to screen festival films all over Europe. 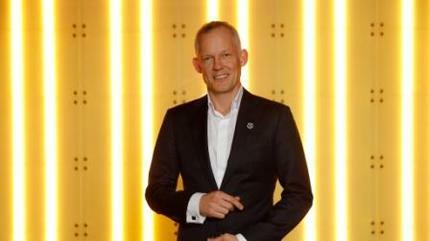 Has IFFR Live grown into IFFR Unleashed, the festival's very own VoD platform? Now that it is up-and-running, is it going to be incorporated into the festival? That is a very correct assumption. We launched IFFR Live four years ago, and it was really cool, we really enjoyed it. But it needs to take another step. And the most logical step for us is to have much more integration with our VoD platform IFFR Unleashed we have launched last year. And that is the direction we want to go. We are still figuring parts of this out, but creating much more fluid or natural extrapolation [as to] what the festival is in the online arena is exactly what Unleashed should be and IFFR Live was a necessary step to get there. We are not quite there of how this will actually work, we will figure out something that will be also throughout the year, but that is exactly the direction we are taking. It will take some time but it is a natural flexible move to say it needs to be in the same realm with the festival itself. Many of the things we now do are already in the same arena; we stream our masterclasses to be interactive in presenting our filmmakers, to be smarter in presenting filmmakers who cannot be there and then expand on that experience, rather than having just a great TV-showesque format and see what works there. Is something to be unveiled during the upcoming edition of the festival regarding IFFR Unleashed and what have you just said? With IFFR Unleashed, we are not quite there yet. We are hoping to start something already this year but if it will be a little later in the year, it is fine. We are not in a rush to be forcing something but for sure, I am hoping there will be a little teaser. 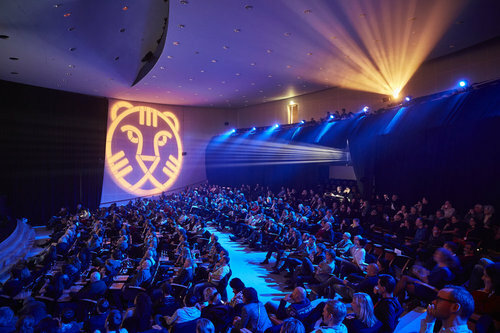 The focus is now more on integrating IFFR Unleashed into the festival field and use of the good stuff of IFFR Live to make it an interactive thriving community, rather than just a VoD platform. Regarding the industry part of the festival, last year you mentioned your aim to adapt the thinking of start-ups and incubators to revisit old models and start new ones. Is it happening? The allure of using other techniques in terms of film development is in our biological process of becoming part of the industry as part of the festival. It is something we don't need to force on people because they, in general, seem to have that impulse to look outside the small little box that they are in. That is already a plus for sure. This is what we hope will be a part of the Reality Check conference, a different way of looking at film development. But we are not jumping on creating our own incubator or having another separate event of that kind. The important part for us is to figure out how to connect national and international talent development we already have to keep that diversity of talent development as big as possible. Sure, but your vision was to have the full circle from script development through film production, film distribution to teaching film marketing to producers, which was back then a part of the IFFR Unleashed initiative. Did the festival reach the full circle? I would say we are pretty close. I believe we are almost there and luckily the circle keeps changing shapes, which is also part of how the Hubert Bals Fund works and the integration of the Hubert Bals Fund with CineMart, Rotterdam Lab and our talent development, plus IFFR Unleashed and other offline possibilities of distribution coming together, which is starting to look like a nice circle, I must say. You mentioned Mariano Llinás' gargantuan feature omnibus LA FLOR; in recent times, we can see on the international film circuit the appetite for such sprawling cinema. It was actually IFFR that screened the 13-hour long SIMULACRUM TREMENDUM by Khavn back in 2016. Most recent is Wang Bing's DEAD SOULS, Dead running almost 500 minutes. On one hand, there is a demand for small pieces of content; on the other, we can see the proliferation of such long-form cinema. What is your perspective on the situation? I think it is a testament to the fact that we should not think too much for the audience. At Rotterdam and other places, there is actually a quiet hunger for other forms. La Flor is nearly 14 hours and we are still figuring out how we are going to do this in a good way. We are having the full day but we are also doing it with the TV series My Brilliant Friend, the entire thing with breaks and food, but for La Flor, we want to distribute the film throughout the year or have more events. I think it is testimony to the fact that it's a trap to think that people always want 90 minutes, 40 minutes or 5 minutes while they are waiting for a train or whatever format-driven thinking is too limiting. You should be always thinking in terms of other elements because people want to be involved in something which is an interesting experience, such as having 14 hours of intense mastery narrative filmmaking. Let's not be too restrictive, and figure out more ways to enjoy cinema, that´s also our way to survive. People are much more open to the diversity of formats and the diversity of storytelling; the experience is what counts, whether it is a 3-minute film or a 14-hour film. IFFR already screened the first part of LA FLOR in 2017. Yes, we were a funder of the film also, Hubert Bals Fund is involved in La Flor. Three years ago maybe, they came over to our film office to talk, which was almost like an anti-script lab panel to say, well, there is all these great methods and scripts editors there which work for the big part but sometimes they become their own format. But we want the opposite, to be able to pull off something that consists of three parts in 14 hours is quite a feat, and being able to be more adventurous as a festival in how we program these things or maybe as well as distributors and film theatres. It proved to be successful. It is not new or crazy in any way, it is a film binge-watching and when it does work for The Wire, why would not it work for La Flor. When you make a good film, people want to be fully immersed in it. I believe that part of immersiveness and emotional experience cinema can bring is timeless and duration-free. This year, you also programmed the 8-hour film 8903 EMPIRE by Kevin Jerome Everson and Kahlil I. Pedizisai on IFFR Unleashed. Yes, well, if it is good, we do not care how long it is. If it's good, we will show it in its full length. At least in Rotterdam, it is nice that people come out and say, 'I want to spend the entire day here and have something that will never feel like this again' or 'which will be difficult to experience in the same way again' and I think there is much more room to be experimenting with those lengths for filmmakers, festivals and hopefully for distributors and theaters. You are also having an installation by David O´Reilly who did some psychedelic shorts back in the time and managed to create two award-winning art video games recently. I would be curious what brought you back to him? The fact that he is involved in Rabbit Hole, the memes programme, that way of thinking along other lines, whether it is games or interactive art, found footage or how images are re-set into the world as new, almost living, things are part of the programme. Therefore, he is very much welcomed. How does he think about the narrative now and games would be a part of that. It's the same as with the possibilities of VR, sometimes, it is just a technical feat, and sometimes the artists start to work with it and it ends up being something that has very immersive effect with a different kind of storytelling. Sometimes you need to consider the fact that things are not serial, they are not chronological but completely different or non-constructed in that way, whether we like it or not. It is a new kind of storytelling and it will have an effect on traditional cinema as well. We would rather embrace it and be inspired and see what happens. than keep it in a box and say that's a game, that's not for us. It most certainly is.